Spotless, CARFAX 1-Owner, GREAT MILES 2,009! SE trim, Shadow Black exterior and Charcoal Black interior. EPA 40 MPG Hwy/30 MPG City! 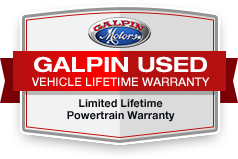 Onboard Communications System, iPod/MP3 Input, Brake Actuated Limited Slip Differential, Smart Device Integration, Satellite Radio, Alloy Wheels, CHARCOAL BLACK, CLOTH FRONT BUCKET SE..., Back-Up Camera, Turbo, Serviced here at Galpin, Originally Sold at Galpin, Used Dealer Rental Vehicle.